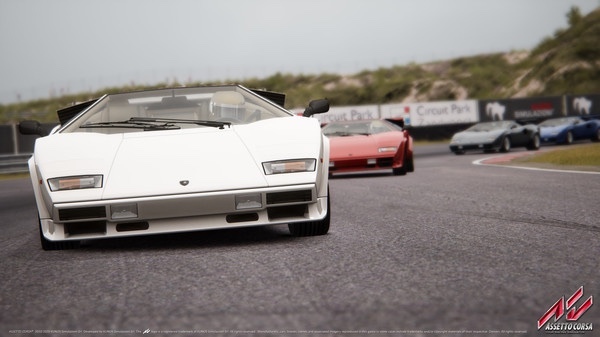 Kunos Simulazioni has released the “Dream Pack 2″ DLC pack for their Assetto Corsa title, introducing nine new cars and a new track to the simulation. 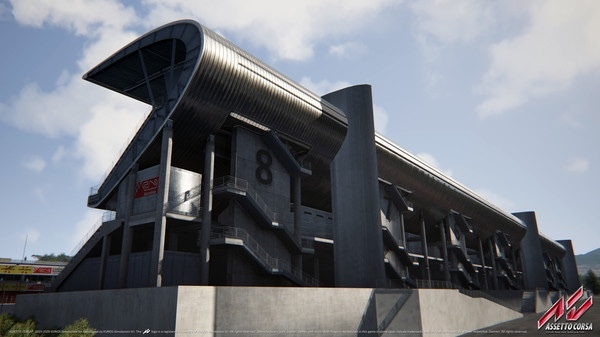 Furthermore, the pack adds aser-scanned version of Barcelona’s Circuit de Catalunya, home of the Spanish Formula One Grand Prix. Alongside the DLC pack, the studio has also released a big update for their title that is available regardless of DLC purchase. 64-bit natively supported and car physics calculated on multi-thread. The physics engine has been reworked to become completely multithreaded: as a result, the driving precision is augmented, the accuracy further improved and the physics solver has enough horsepower to completely resolve any difficult calculations any speed, achieving butter smooth Force Feedback and complete elimination of signal noise and vibrations. We’ll be back with more details on physics updates when the new build will be released next week. 2D/3D models, textures and shaders have been updated and improved, in order to keep the standards reached with the latest content. Now windscreens receive shadows, and a new camera facing feature improves the rendering of 2D/3D objects on track. A first basic support for dynamic objects on tracks has been added as well, and it will be improved in future updates, with the aim to get a more immersive environment. Fine tuning and improved algorithms for audio editing: all new cars benefit by use of new techniques of recording and sampling for engines, interiors and exhaust systems, also thanks to the technical cooperation of Akrapovic. This allows to recreate a more detailed audio trace and the exclusive detail of each car, improving the immersion while driving. 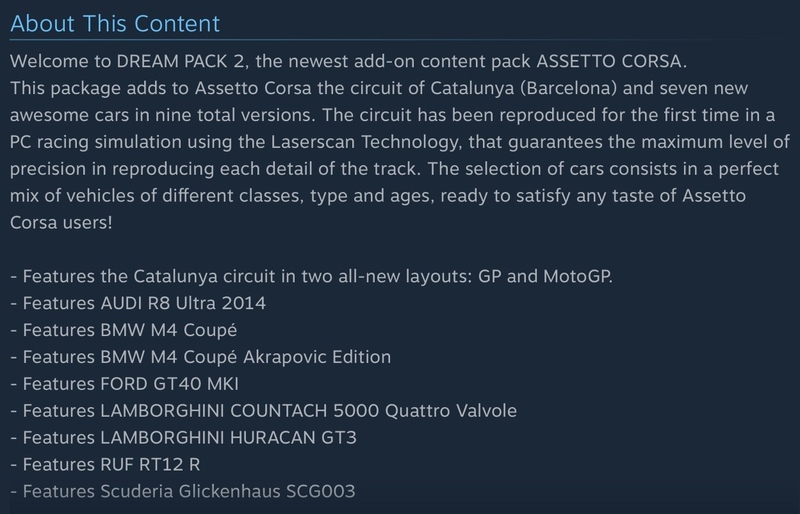 Content that are available already in Assetto Corsa will be updated during the process, to bring them to a higher level of realism and in line with the latest quality standards. Dedicated server has been optimized in order to improve general stability. New parameters and features have been added to server configuration, in order to please the requests of gamers who are looking for a more comprehensive online experience. – ksEditor: now it uses the same ingame engine. – acServerManager: fixed upload on ftp. Now cfg folder is not deleted. 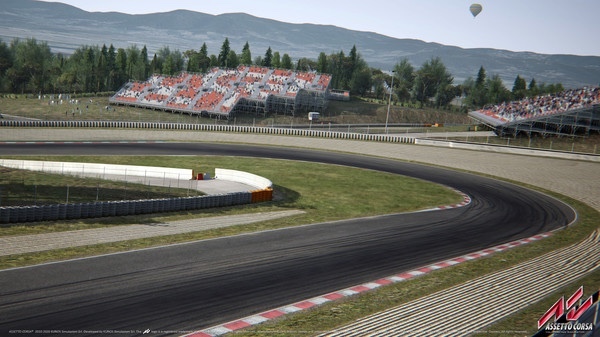 – Updated Tyres V5 for GT2 and GT3 cars, should give less understeer. – Zonda R and Ferrari 599XX and Formula Abarth now have V5 tyres.